Good morning! Since school is starting, it is Labor Day weekend and it is almost the end of summer, this is my last 2017 Summer Series: Finish it Friday post. As you can see in the pictures, I chose to finish a school bus cake. School has started here, so I have lost my Finish it Friday partner. I’m sad to lose my partner to the school bus; I really have enjoyed the family fun projects we have done together this summer. Even the practical boring ones give me a feeling of accomplishment; though maybe next year the Summer Series could be ‘Family Fun’ Finish it Friday. 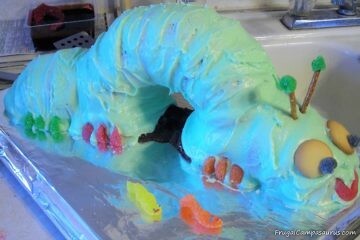 We would only do fun projects and science experiment that I never seem to get around to doing. Might be a thought. I am very sad summer is over and school is starting. 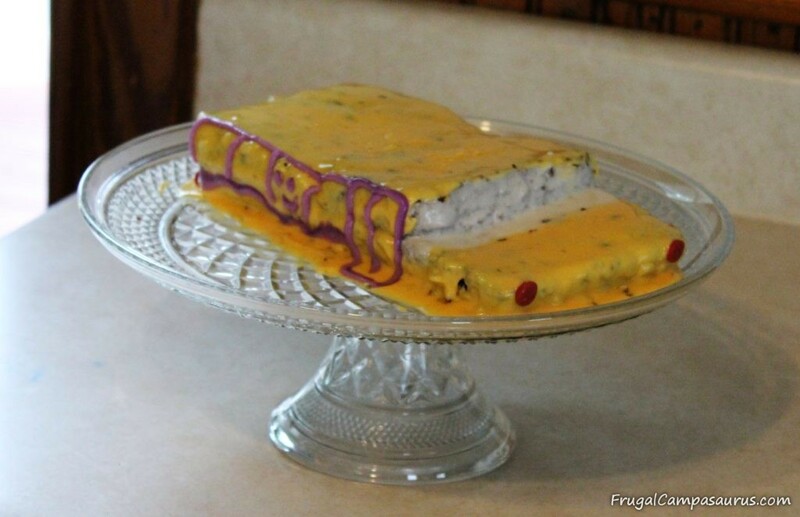 Actually, that is why I started making school bus cakes for the first day of school. , many years ago. Even though the kids were excited to ride the bus, I was lonely when the school bus would take the children off to school so early in the morning. 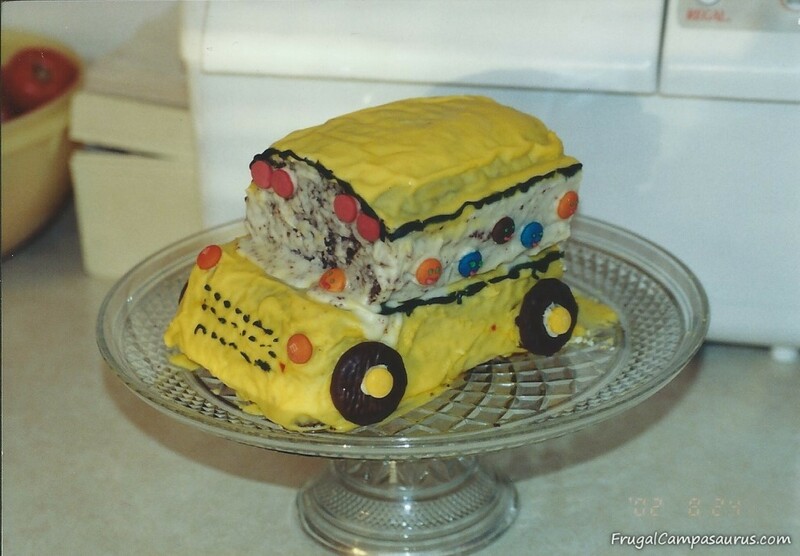 I had seen a school bus cake in a magazine and wanted to surprise the kids. It kept me busy all morning, baking, frosting and decorating the cake. Since our school has ‘early out’ the first few days of school, it was a rush to get everything baked, cooled and decorated before they got home. It was the perfect project to keep me busy and distracted from the quiet, empty house. 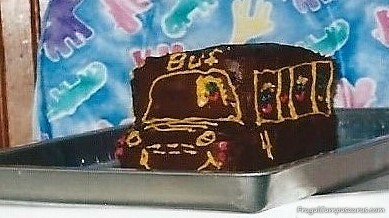 My school bus cake was definitely interesting, not like the magazine pictures at all. Well, I guess they both did have wheels. But it was cake and frosting, so they loved it. Over the years, I have made many school bus cakes or cookies for the first day of school. Every year, it keeps me busy and distracted on the first day of school. As the kids got older, they didn’t seem to eat as much of the cake and I didn’t need too, so I have not made a school bus cake for a few years. I thought it would be fun to make one again, since the youngest is still riding the bus. Trying a new recipe before I want a pretty finished product is always a good idea. I wish I had done that. I made a homemade dry mix that I had found on pinterest and tried the cake variation. The dry mix also makes cookies and brownies. It made the flattest school bus cake I have ever made! Since school got out at 1:00, I didn’t have enough time to remake the cake or even make a new layer, so it would be taller. Oh, well. This year, we had a very flattened school bus cake. I frosted it, which did not help. My butter cream frosting always needs more powdered sugar, so it drooped. The cake was too short to add smiling, happy kids in the windows or even oreo wheels. I have used many things for the happy kids and wheels- m-m’s, teddy grahams, oreos, donuts, stripped cookies and even just frosting, but not this year. bus pic1I would think after a few years, they would look better. Grandbaby saw the picture and said 'Bus, yuck'. So glad they taste good! 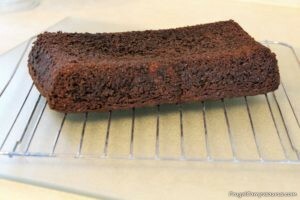 flat chocolate cakeThe day I want the cake, is not the time to try a new recipe. Very, Very flat! flat school bus cakeI might have to make another school bus cake next year, this is a horrible, though funny, final school bus cake. birthday cakeSee, I really can make cute cakes- just not cute school bus cakes. I think he only tried a piece to make me feel better. I was as surprised as he was. Even though it was the flattest school bus cake I have ever made: it tasted great! Dense and chocolatey, almost like a chocolate mayonnaise cake. It was yummy. In fact, it was quickly gone and not by me. I have made many cakes over the years. Some of the birthday cakes were very cute, but I think I am not a school bus cake maker. While searching for better examples from other years, I did not find many. I know that some years the cakes were so interesting, that I wouldn’t take a picture. I’m glad that they tasted good and helped celebrate going back to school for the kids. I am also thankful that they distracted me from the empty house. It is a fun memory and tradition, even if the cakes themselves were very funny to look at. I hope you have enjoyed my Summer Series: Finish it Friday. It really helped me to finish projects and fight procrastination. I got a lot done this summer, especially fun family projects. The husband says I should have a Finish it Monday, Finish it Tuesday, Finish it…….., he is definitely not always right, even if he is funny. I hope this series can inspire you to try a new family project or finish something you have been meaning to finish. I am always amazed at how things I put off, and let bother me, can be either quickly or enjoyably finished. Previous Post:The Dress Up Box: Garage Sale Now, for a Frugal Christmas Present!